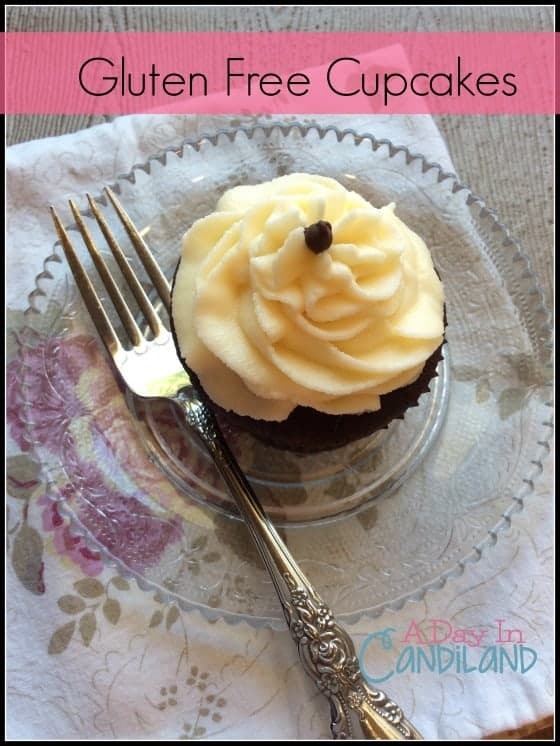 These gluten free chocolate cupcakes are a perfect alternative for those with allergies. Plus they are dairy-free and taste delicious. For more creative cupcake ideas try these. Last week I had a friend who wanted gluten free chocolate cupcakes. 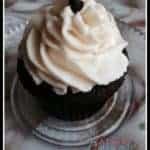 I like to make them with a blend of gluten-free flours and then top it off with dairy free chocolate ganache and dairy free vanilla frosting. I could have made her my gluten free magic bars but I decided on cupcakes. There are lots of flours on the market but I prefer to make mine with a blend of flours. I have tried boxed cupcakes from the grocery store, but I don’t really like the texture. So I tried several blends and several brands and came up with this homemade blend. One thing I have noticed about gluten-free cupcakes is that they don’t last as long as regular cupcakes and they are also a little moister and don’t stick to the cupcake wrapper as well. My tip for this is to fill them a little more than you would regular cupcakes and take them out of the pan right away so they don’t get more condensation on them. I don’t know why this happens but I like to take my cupcakes out and put them in airtight containers and it doesn’t work as well with gluten-free. So let them cool completely first. In large mixing bowl sift flour blend, sugar, cocoa powder, baking powder, baking soda and salt. In Stand mixer combine coconut milk, water, oil, vinegar, and vanilla. Add in the sifted dry ingredients. and beat for 1 minute. Evenly distribute into cupcake liners. Bake for 20 minutes. Test for doneness. Remove from oven and carefully take out of cupcake pans and let cool. 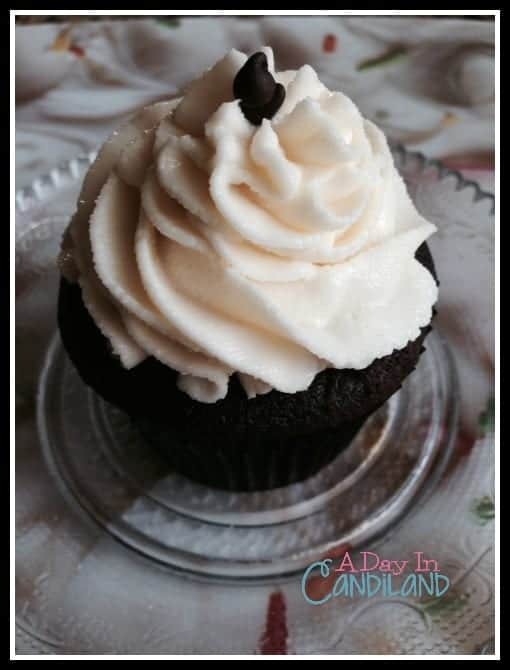 Try these easy gluten free chocolate cupcakes with dairy-free ganache and frosting and let me know how you like it. You can find some of my other recipes on the pages below. Make sure you get the dairy-free ingredient substitution list below. These look totally scrumptious! Thanks so much for sharing this recipe! Youre welcome. I am glad you stopped by for a visit. Looks yummy! I’ve been struggling with finding the right balance of flours for gluten free cakes so this is very helpful. I’ll also try your suggestion of letting them cool completely before putting them in the container as I’ve been having the same issues. Ah, I have a trick I can share with you about the wrappers! A friend of mine discovered that aluminum wrappers don't stick to gluten-free cupcakes and muffins like the paper wrappers do. My recent post A Sign for Neighborhood Friends: No More Knock-knocking! Beautiful! I've got gluten free cupcakes on my food prep list this Sunday. Yours turned out beautifully! May I have on now, please? Or maybe two? I can't wait to try these. My sister's boyfriend is allergic to eggs so this would be a great recipe to try for him. I wish my frosted cupcakes looked that good! Thank you for linking up to Creative K Kids’ Tasty Tuesdays Linky Party. I have pinned your post to the Tasty Tuesdays Pinterest Board. These look absolutely divine Candi! I can’t wait to give them a try!